There has been a long standing debate about which is better, Android or Apple. Most recently, more people are trying to decipher which app market is better. Many people are trying to create mobile apps and are trying to decide which market to put it on to get the best results. 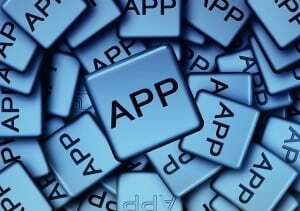 iPhone app developers and Android app developers are at a constant struggle, trying to decide which will be more successful in the future. This is not a simple answer, because both markets are becoming increasingly more similar. However, there are some important differences that people can consider when choosing a market for their app. Knowing these differences can help anyone’s app be more successful and reach the right people. Here are some of the differences between Apple and Google app markets today and how app developers can use that information to become more successful. Apple is focused on simplicity. Therefore, older people or people who are not used to technology often gravitate towards Apple. People who are developing apps that are focused on simple, easy-to-use design will have a lot of success on the Apple market, but complex or otherwise original apps might get lost. Even though Apple markets have been around longer, the Android market is seeing more worldwide reach. There are more Android products available around the world, and because these products are often more diverse, people living in countries outside the US tend to prefer them. To get global recognition, an app should be marketed on Google Play. Apple tends to thrive on exclusivity. Everyone wants to have the next Apple gadget not necessarily because they are better, but because of the exclusivity of their products, which can only be used with other Apple services and products for the most part. This means that there are more paid apps on the Apple market, therefore, people who want to make the most money possible should consider Apple over Android. Because Apple likes to maintain exclusivity, Android is thriving on being all-inclusive. Android is often more versatile and can be used easily on a variety of platforms and technologies. This also continues to prove that Android has a more expansive reach. If an app developer wants to simply get as many downloads as possible, they should first try out Google Play. Despite all the advancements other markets have made, Apple will always have a slight advantage due to sheer time in existence. Because Apple has more experience in the app world, they will be able to create new methods and streamline more easily than any other market. This is an important fact to remember if a person wants to maintain their app on the market for years to come.